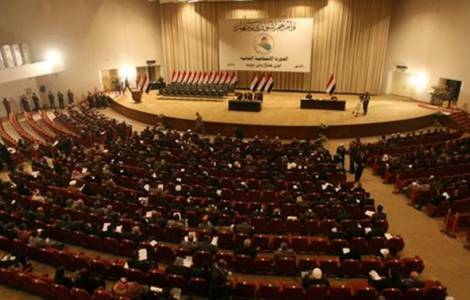 Baghdad (Agenzia Fides) – There is also the name of MS Hana Emmanuel Gorgis among the names that Iraqi Premier Adel Abdul Mahdi wishes to add to the list of ministers in the government in Iraq, still not complete although seven months have passed since the elections . Hana Emmanuel, for Adel Abdul Mahdi, should be head of the ministry for emigration and refugees, charged with dealing with political and administrative issues affecting the conditions of Christian communities Iraq. But dissent regarding the possible appointment of the Christian to head the government ministry has been expressed by MPs elected in seats reserved for Christian minority members, including the two women MPs belonging to the movement Babylon Brigade (see Fides 21/5/2018). The Christian MPs opposed to the appointment of Hana Emmanuel Gorgis motivated their decision – harshly criticized by Emmanuel Khoshaba, member of the Rafidain Assyrian Coalition he too elected in the quota of seats reserved for Christians – declaring that the choice of the Premier depends of interference of ecclesiastical matrix. Opposition in the part of Christian MPs regarding the entry of a Christian in the Iraqi government represents an ulterior pointer to political fragmentation among the different Christian communities in Iraq. The parliamentary vote to appoint the heads of eight ministries still lacking a minister has been postponed to next week due to disagreement regarding the attribution of key posts such as defence and home affairs. The appointment of the eight ministers had already been rejected in parliamentary session in October which approved the assignment of the other 14 government departments. According to many analysts, the block to a definitive passing of the Iraqi government is caused by rivalry among the principal political formations of Shi’ite matrix. (GV) (Agenzia Fides 6/12/2018).